PHIL RAMONE R.I.P. ROCK IN PERPETUITY! STILL UNABLE TO USE MY HANDS I WANTED TO PAY TRIBUTE TO PHIL RAMONE, AN ALL AROUND GOOD GUY WHO I ONCE CONVINCED THE RAMONES DIDN’T NAME THEMSELVES AFTER HIM! 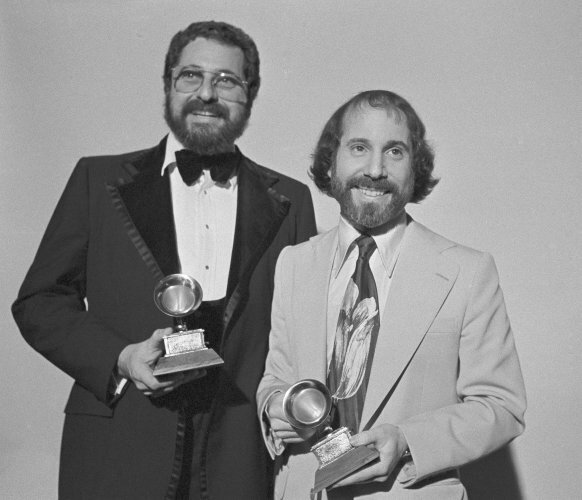 Phil Ramone, the instinctive music producer whose mixing mastery for Frank Sinatra, Barbra Streisand, Bob Dylan, Ray Charles, Paul Simon and Billy Joel helped fashion some of the most sumptuous and top-selling albums of his era, has died. He was 79. A native of South Africa who at age 10 performed as a violinist forQueen Elizabeth II, Ramone spent years working as a songwriter, engineer and acoustics expert in New York before charting a path that would make him a trusted studio partner in the eyes (and ears) of the industry’s biggest stars. Among the albums on which he worked were Streisand’s 1967 liveA Happening in Central Park; Paul & Linda McCartney’s Ram(1971), sandwiched between the Beatles and Wings eras; Dylan’s aching Blood on the Tracks (1975); Simon’s pop classic Still Crazy After All These Years (1975); Joel’s critical and commercial breakthrough The Stranger (1977); Sinatra’s last-gaspDuets (1993), a model of technical wizardry; and Charles’ final album, the mega-selling Genius Loves Company (2004). MAY YOUR LEGEND CONTINUE TO GROW, AND MAY YOU ROCK IN PERPETUITY! Respectfully, your friend Artie Wayne https://artiewayne.wordpress.com/2012/04/10/celebrating-two-million-views-today-on-artie-wayne-on-the-web.. Tags: paul simon, PHIL RAMONE R.I.P.